When you’re driving in the winter (particularly if it’s your first winter driving) it can be a little bit intimidating. When the first snow falls you’re surrounded by drivers who aren’t necessarily making the most intelligent driving decisions. Top Driver has compiled a list of our favorite snow driving tips to keep you safe and sound this winter. To find out more about Top Driver Education, visit us online at www.TopDriver.com or call us at 800-374-8373. When it comes to snow driving, anything punchy can get you into big trouble. With black ice everywhere and packed snow creating a layer of slippery ice on the roads, slamming on your breaks could send you spinning while a quick pedal-to-the-medal maneuver could leave you skidding in place. Overall you should be driving more slowly than normal. Keep in mind that it’s not just your behaviors that may impact the safety of your car, but also the driving of others. You can’t control the speed of the other drivers, but you can control your own speed! Be sure to slow down and keep your eyes open for unsafe drivers. Typical follow time is four to six seconds. However, when roads are slick and unpredictable you should increase your follow distance to eight to ten seconds. Make sure that you know what your brakes are like and what they’re capable of. Are they touchy and lock up easily? Be sure to give yourself plenty of stop distance so that you can depress the break gently and keep them from locking up. Do you punch the pedal to the metal and still have a hard time getting it to stop? Give yourself even more stopping distance so that you don’t slide through a stop if it’s slick. 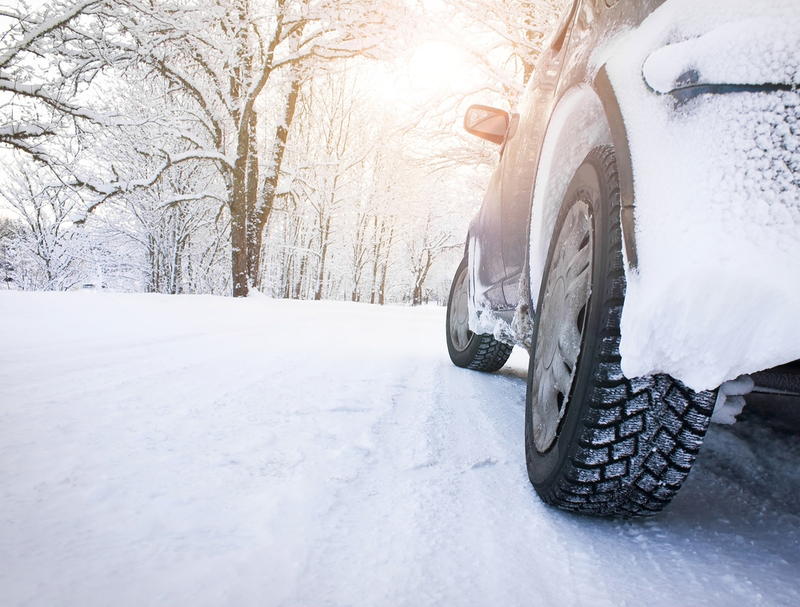 Knowing your breaks will keep you making safe stops – planned or not – through the winter. Sometimes the road conditions are dangerous enough that it’s best to just stay off them. This is a personal judgment decision, so be sure to check the roads before going out! Top Driver is one of the leaders in driver’s education, with simulation courses and intelligent teaching strategies. Visit us online at topdriver.comor call (888) 471-5418 today! This entry was posted in Top Driver Blog and tagged Driving School, Driving Tip, safe driving, Snow Driving, Snow Driving Tip, Winter Driving Tip.